The N.C. Chronicles. : Emma who???? Sites like cosmopolitan, jezebel and of course mangina extraordinary and prime propagandist cnn and good ol'blitzer will applaud the good work this little girl is doing...Will she be doing work in the field to promote anti discrimination in the "REALWORLD", like africa, saudi arabia, iran, isis contolled middle east, asia, so on? Or will she stay in her comfy world in the west? Condemning that bad patriarchy? 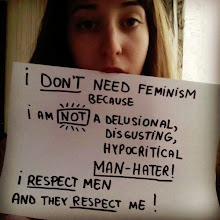 It is because of feminism and manginism that women's rights in some place have been going backwards, demonizing men, in a male controlled society like the middle east only pisses them off even more, they are incapable of diplomacy, since their blind man-hate prevents them from dealing with this reality. The U.N. has been known to be awe struck by celebrities, and instead of doing real work in the field, these diplomats with their millions and some, billions, sit pretty pandering to hollywood, which never achieve anything meaningful. How many live can the saudi ambassador alone save and feed with his stolen millions? Let alone the rest of them. Little emma didn't realise she was used by the same people who cause pain through greed in this world, and to claim she is a feminist, while bitching about womenagainstfeminism shows that her message was well powdered up for a specific audience, not those who truly need support. Little emma's speech, if one listens to it, was not to offer equality as much as a defence of the failing feminist movement and to claim she made a difference and brought it back...well let's see how remembered the speech will be a month from now. Or even tomorrow for that matter. Yes, she acknowledged that men have problem with suicide and aren't considered equally important parents but still she calls men and boys to fight for WOMEN not for both sexes. Why? #Menforwomen???? In what world does she come from? Men have been for women, our wives, daughters, mothers, sisters, since time began, did she and her millionaires club acknowledge this? NO...They simply exist for a moment of self adoration? The word feminism has been dirtied beyond repair, any time someone claims it's mantle, they are related to male-hate, hence anything they try to do under that flag goes down the drain. Let's be real for one minute, without the males of the species, nothing gets done, we have to do it together, not menforwomen, but peopleforepeople. The U.N., what a f*cking joke. Of all the money they received from us, the taxpayer, since their beginnings, they should have at least eradicated hunger, but no, it's worse now than before it's existence. We just have to look at their latest ambassador for climate change, dicaprio, with his yachts and jets. There are plenty of dedicated people who stand in the background who are more capable of doing better work than those who claim titles without the work in the field, like Louise Harbour for instance. True experiences in the real world would give a chance to those who need us, instead of been awe struck by a passing fad. Lets see leo give up private saudi yachts and private jets since they burn bad ol'fossil fuels, and little emma go out into the real world, claim feminist and blame men for all the woes in the world, see how far that gets her in some of those countries. As for people like emma watson, and her menforwomen crap, what the f*ck do you think we've been doing all this time, look at those whom you surrounded yourself with at the U.N. before you blame the rest of us, we tried, died and suffered, to make things better, it's your friend and their greed who keep on f*ucking things up...AKA; the elitist. Poor little rich girl wants men to stand up for women after feminists did their best to make men turn away from the ladies. Chivalry is only awarded to people deserving of the honour,Little feminist Emma can open her own doors. I agree, but she seems to have pissed off the wrong people with her it's all men's fault, there has been a threat by hackers to make her private pictures public. Admitting your a man hating feminist is not a good thing lately. Being part of any hate movement is never a good thing.